Color your hair the frugal way and do it yourself! You can print a new hair color coupon to get a great deal at CVS this week. 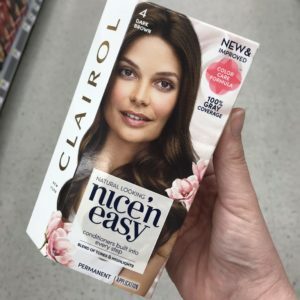 Grab Clairol Nice n Easy and Natural Instincts hair color for $2.50 when you pair in the new coupon with ECBs. (4) Clairol Hair Color, $6.99 ea. Makes it $9.98 or $2.49 each!